Are you traveling with pets this holiday season? Auto Action's Arizona used car dealerships provide holiday tips to keep your pooch safe while on the road. The holidays are around the corner, and that means a lot of traveling. We pack our cars with gifts, food, and luggage, but most importantly with our loved ones. Among the precious cargo- our husbands, wives, children, and ourselves – our pets are some the most vulnerable. Understanding the proper safety precautions while driving (any time of year!) will protect your dog or cat, passengers, as well as the driver. Getting your ducks in a row before a trip can help reduce your pet’s anxiety while traveling. Unfortunately, some animals experience stress or are prone to car sickness. Start by contacting or visiting your local vet for advice and medications that will help your pet handle the ride. If your small dog or cat need to go into a mobile carrier for safety while in the car, put the crate out a few days before you leave. Put their favorite toys, blankets or treats inside so they know that the crate is a happy, safe place. These comforting objects will help them to enjoy the ride. Once it is time to start packing, make sure you have the essentials readily available in your car: food, water, bowls, leashes, and waste bags. Wherever you are traveling this season, get an idea of traffic routes and weather. Make sure there are stops along the way to take your dog out to stretch his or her legs. Be prepared for inclement weather as well. If you have to leave them in the car for long periods of time, don’t bring them at all. Both extreme heat and cold have tragic effects on animals left in a car unattended. We tend to think of our pets as family, so it is important to offer them the same respect and security as any other passenger in your car. 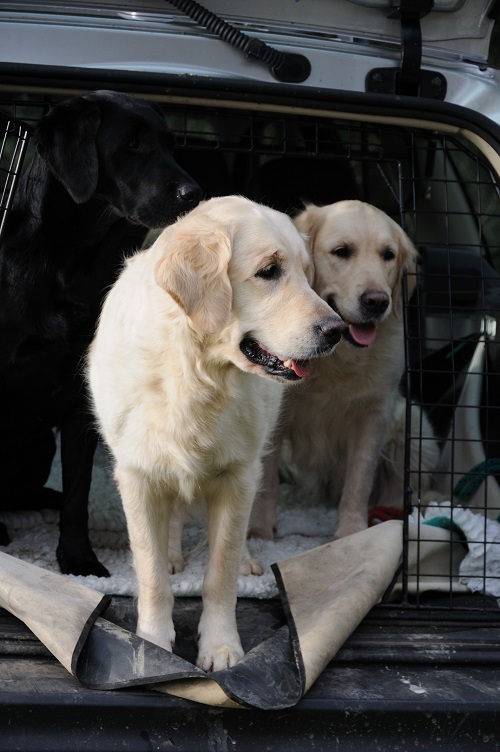 The most reliable methods for keeping your pet safe are by keeping them in a carrier, a specially designed harness for dogs (make sure you get the correct one for the size of your dog), or protected behind a back seat barrier. If you do get into an accident or have to slam on your brakes unexpectedly, your pet should be safe and secure. Auto Action’s Arizona used car dealerships have team members that encourage you to drive safely while on the road this holiday season. Are you traveling with your pet this year and do you have tips for traveling out of town with them?